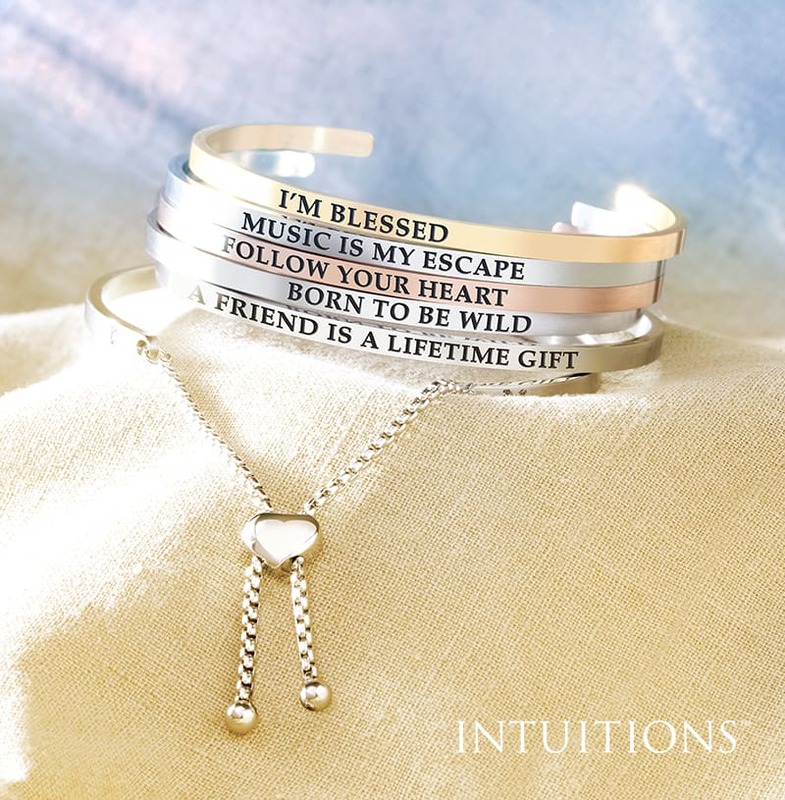 Every Intuition bracelet presents a personal message of inspiration, spirituality, or fun embedded in its shiny surface that is perfectly shaded and easy to read. Stack these strong and beautiful bracelets together or wear one alone as the phrase of the day. These stainless Steel 3.6mm wide bangle style bracelets have a heart charm adjustable chain clasp and each one is accented with a sparkly diamond. A part of every purchase goes to Baby2Baby, a charity providing low-income children aged 0-12 years with the basic necessities that every child deserves. Give Intuitions Adjustable Stainless Steel Bracelet as a gift and the person you give it to will know you are thinking of them every time they wear it. Choose one for yourself and you’ll bring beautiful inspiration wherever you go.